We recently spent a couple of days in Copenhagen, Denmark sandwiched around five days in the Faroe Islands. We didn’t have much time to explore, but I really wanted to see Nyhavn, a 17th century waterfront canal. 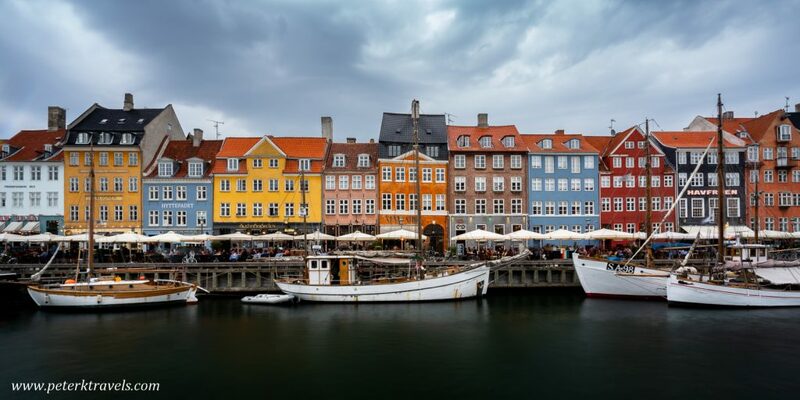 Nyhavn boasts brightly colored buildings, many of which are now restaurants or clubs. It’s a beautiful place for an evening walk, and incredibly photogenic. It’s also close to Copenhagen’s excellent Metro system. Here’s a late afternoon photo of Nyhavn on a cloudy, rainy day.